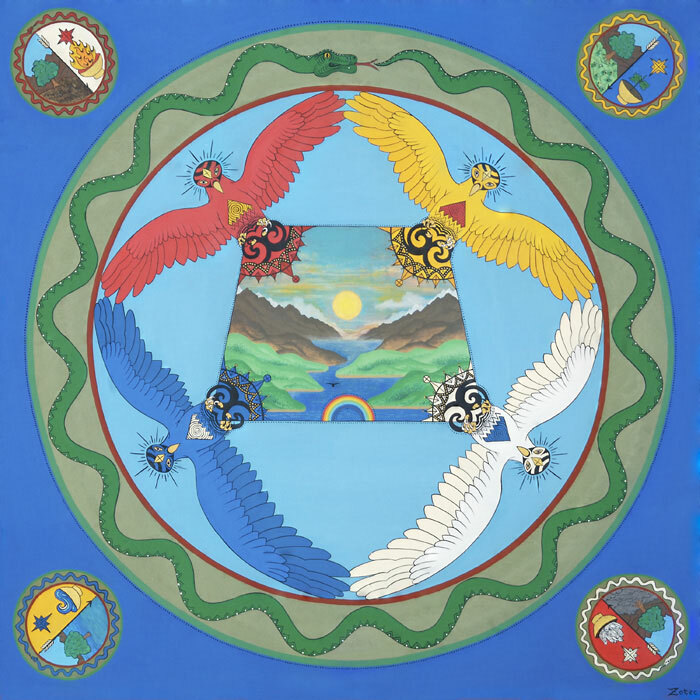 "Birth Of The Fifth Sun"
This image shows the rising sun bringing peace to the Earth. The four elemental forces, symbolising aspects of our inner nature, hold the space for life to grow. There is always an opportunity for integration of these elements when in a moment of grace the true beauty of life is revealed.